Set for its 7th annual running this year, this race takes runners on an out-and-back run along three of the city’s paved greenway trails, with a start and finish at North Hills, the mixed-use development in Raleigh’s Midtown area that boasts two hotels and more than 100 restaurants and shops. You’ll be able to park right beside the start and finish line at North Hills, as the race starting line lies just off Six Forks Road and Rowan Street. From there, runners head west and north along Gates Street and Northbrook Drive, and turn for a short stretch along North Hills Drive before jumping onto the trails. Here’s where the race — which debuts a new course this year that eliminates the notorious “Lassiter Hill” at the finish line from the past couple of years — gets really interesting. The route turns first onto the Crabtree Creek Greenway and Mine Creek Greenway, which have plentiful shade and flat terrain throughout. The race is one of eight events hosted by Race 13.1 in North Carolina throughout the year, and it offers runners the chance to receive its custom “City of Oaks”-themed finisher’s medal as as well as a high-quality tech t-shirt with the same logo emblazoned on the front. Runners can expect to have a text message from Race 13.1 with a link to the live results waiting for them when they cross the finish line, along with a first class post-race party. Located near the center of the state, about 160 miles northeast of Charlotte, Raleigh typically sees October temperatures that average between 49°F and 70°F, and precipitation is pretty evenly distributed throughout the year. On race day (Oct. 5), the average low is 55°F and the average high is 76°F. See the race route map for the Race 13.1 Raleigh Fall Half Marathon here. 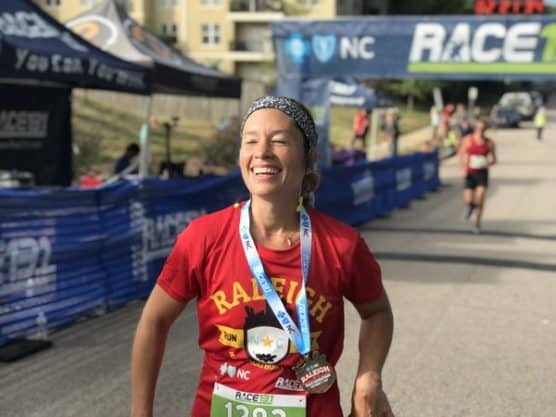 To reserve your spot in the 2019 running of the Race 13.1 Raleigh Fall Half Marathon, 10K or 5K, register online at the event website here. 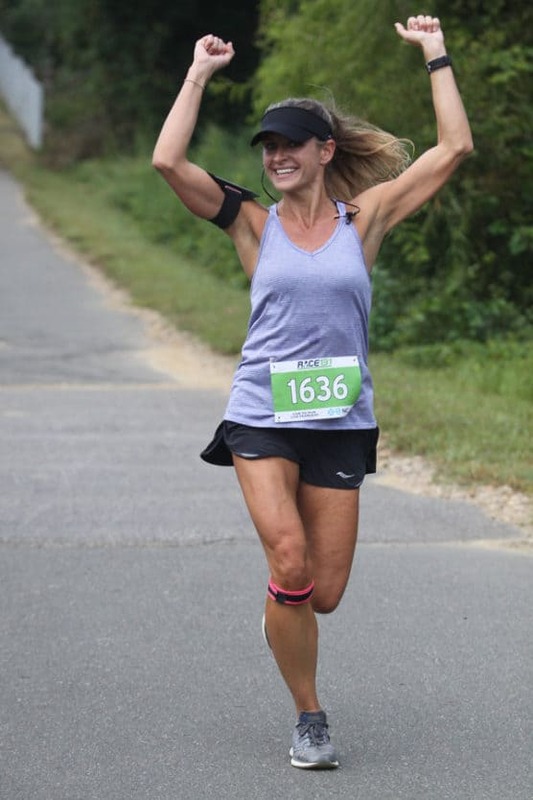 Ever run in the Race 13.1 Raleigh Fall Half Marathon? Share your impressions here, or post your review in the Comments below. Hello if I register after 18 Aug will I still be eligible to receive a T-shirt?